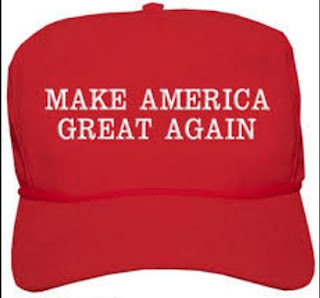 Many of those supporters were sporting Trump’s trademark red ‘Make America Great Again’ baseball caps that were made in China, Vietnam and Bangladesh. Rob Walker, 44, who had driven to Washington from Georgia with his wife Abby, 36, had stopped at a truck stop on the way to buy a ‘Make America Great Again’ cap. “The Trump hats available for purchase on Trump’s official campaign website are made in the United States and cost between $25 and $30,” according to the label inside those caps. Joshua Rojas, 25 and Alyssa Young, 28, had traveled from Texas to watch the inauguration. Young was wearing a pink ‘Make America Great Again’ hat. Victoria Scott, 13 and her brother Andrew Scott, 12, each bought a ‘Make America Great Again’ hat before the inauguration. Victoria’s hat cost $25 – and was made in China. Robert Morrison from Queens, New York, was carrying his ‘Make America Great Again’ hat – bought from a street vendor for $20 – and wearing a New York Yankees cap. Both were made in China.